From an early age, Billie Jean King loved sports. She discovered a love for tennis and became determined to be the best tennis player in the world. But as she got older, she also realized that people didn't take women athletes seriously — no matter how well they could play. And when retired player Bobby Riggs claimed that he could beat any woman tennis player — even one on the top of her game — King decided to show the world that everyone deserved a chance to play! 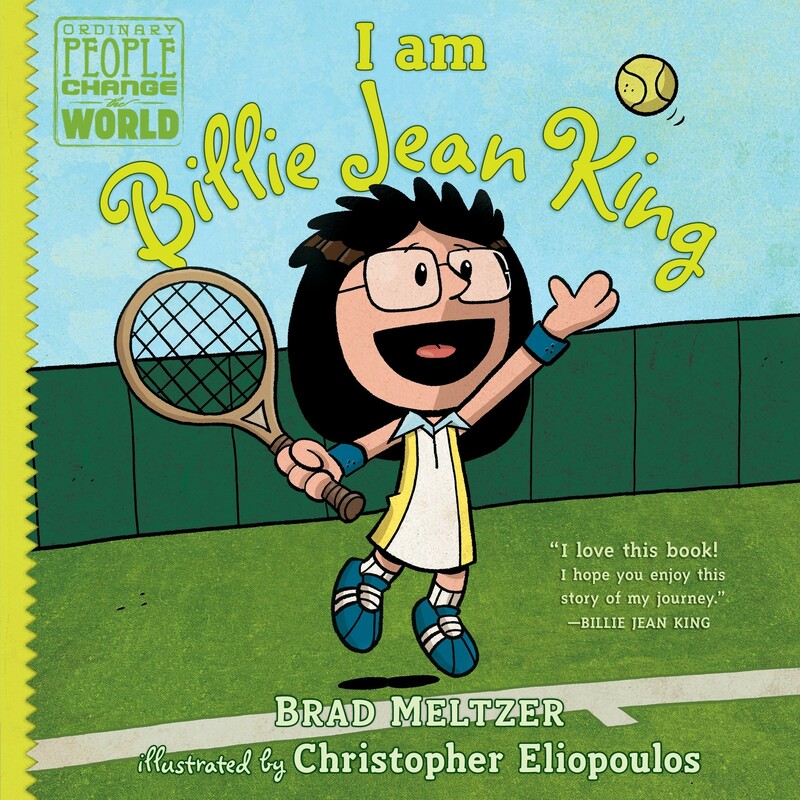 The seventeenth picture book in the New York Times bestselling series Ordinary People Change The World celebrates Billie Jean King, the world champion tennis player who fought successfully for women's rights. This friendly, fun biography series focuses on the traits that made our heroes great — the traits that kids can aspire to in order to live heroically themselves. A lively, conversational tone and colorful illustrations draw kids in, while a detailed timeline and photos at the back encourage them to learn more — and inspire them to see how they too can change the world.